Choice of Pebble Time, Sennheiser Momentum headphones, or ASUS 24" Monitor. $25 gift cards to Noodles & Co. The most creative use of a .tech domain name wins $50 vouchers to get domains! The team that best uses a domain.com domain name wins Domain.com swag bags, which contain Sparfun Redboards! The team that makes an awesome language or education related hack wins Duo plushies from Duolingo! GitHub <3 developers and we have a passion for tools. Your challenge is to build a tool for developers. Anything that a developer could use qualifies from a new web framework to a custom programming language or even a way for people to become better developers. It's not necessary, but you could use [Electron](http://electron.atom.io), make a plugin for [Atom](http://atom.io), or even build on top of the world largest development community using the [GitHub API](http://developer.github.com). 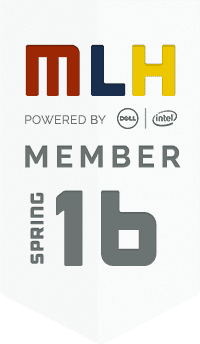 SteelHacks is the largest and only MLH sanctioned hackathon in the Western PA area. We aim to bring together technical talent across the area and concentrate it into an awesome weekend of creating, innovating, and having a blast. Studens who are currently enrolled in a 2- or 4-year program, as well as graduate students.